Travel Time System - Wanco Inc. The Travel Time Measurement System calculates the amount of time it takes motorists to travel between different points in a work zone or roadway system. 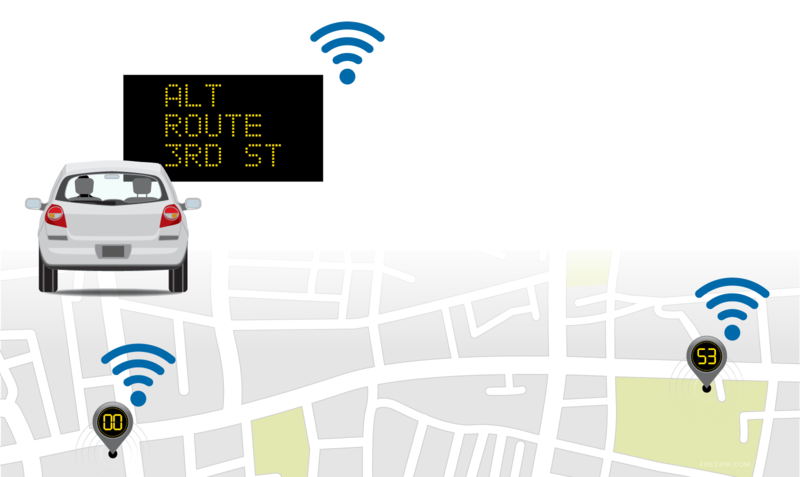 Using strategically placed sensors, the system determines the travel time then communicates the information to drivers using variable message signs. The signs display real-time updates such as end-of-queue, travel time and reduced-speed-ahead warnings. Travel times can also be communicated through publicly accessible websites. In 2012, the FHWA reported 482 million vehicle hours lost in traffic delays due to work zones. This translates to $6.5 billion in lost time. By collecting real-time speed data and notifying drivers about delays ahead of time, the Travel Time Measurement System reduces time lost in traffic. Wanco has partnered with PDP Associates Inc to provide ITS solutions for implementing, managing and operating 21st century transportation systems. PDP is a premier Smart Work Zone and Portable ITS company with a history of more than 20 years providing high quality, reliable systems. Together we work to ensure your safety both on and off the road.